Hot off the Press from Greenacres. Team Gray (Robin Gray) with skip Peter Wilson,PJ Wilson, Ross Barr (for injured Robin) and Tony Tierney won the Greenacres European Senior Invitation today against Anders Westerberg’s World Senior QF rink in an extra end final.Team Gray beat Team Kenny, who topped their section, in the QF on their way to the title. Team Marie O’Kane with Louise Kerr, Christina Graham and Margarita Sweeney Baird also made the Womens’ final against Christine Cannon’s rink and ended up runners up. 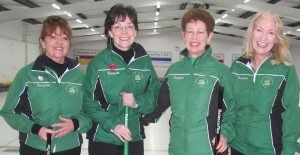 Great performances from all of the Irish rinks. Well done! !